The University this afternoon revealed the $6.5-billion goal for The Harvard Campaign, its first institution-wide fund drive since the University Campaign concluded in 1999, having raised $2.6 billion. Pledges and gifts received during the initial phase of the new campaign total $2.8 billion. The campaign’s goals, and its achievements to date, are being introduced and celebrated during events on campus today, including a faculty panel discussion (see participants); a conversation on philanthropy between Bill Gates’77, LL.D.’07, and campaign co-chair David M. Rubenstein (see background on their charitable activities); and an afternoon address by President Drew Faust. Nonetheless, some further directions can be teased out now. 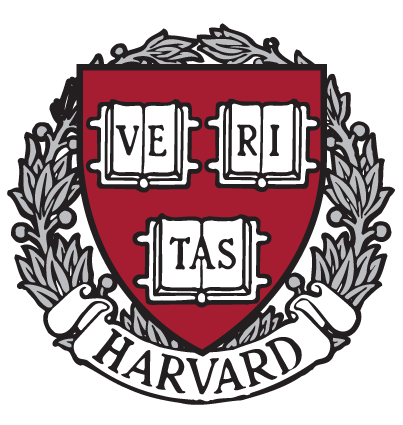 •Research and teaching: Harvard will pursue interdisciplinary programs in neuroscience; the environment; energy; and global health. It aims to further global engagement through research and education around the world; to emphasize innovations in teaching within each school, and across departmental and school boundaries. No information was provided on prospective growth in the faculty ranks, but the news release and prior comments by University leaders both emphasized expansion of the School of Engineering and Applied Sciences (SEAS), which is apparently scheduled for robust growth. Additional Allston projects in the offing include athletic facilities—renovation and reconfiguration of Harvard Stadium; a new basketball pavilion—and a series of Harvard Business School executive-education, conference, and academic facilities. “We launch The Harvard Campaign at a moment when higher education is being challenged to reinvent itself, and we embrace this opportunity for a campaign that aims to do more than merely extend or reinforce long-standing strength and eminence,” President Faust said in a statement in the news announcement. The fund drive, she continued, “calls upon us to articulate and affirm the fundamental values and purposes of higher education in a world transformed by globalization and technology, a world filled with promise for improving human lives, a world in which talent recognizes no boundaries, and in which creativity and curiosity will fuel the future.” She outlined as guiding principles the importance of advancing discovery and learning; teaching innovation; global reach and impact; emphasizing the importance of creativity and values within the mission of research universities; encouraging innovation; supporting the most talented students and faculty; and fashioning the campus for Harvard’s future. In Faust’s address, she is expected to talk about the challenges of preparing the University for changes in research, teaching, and increased emphasis on applying knowledge to contemporary world challenges, while reconciling those imperatives with the continuing strengths of the liberal arts and inquiries into the arts, humanities, and values. Read about the campaign leadership here. Read the University news announcement here. For full coverage of the campaign, the day’s events, and Faust’s address, check Harvard Magazine’s home page for regular updates; or click here for a full round-up of campaign-associated news reports.